Mvuma Primary School head Avelino Mhike. CHIRUMANZU - Mvuma Primary, arguably the best school in Chirumanzi District, obtained an improved pass rate of 98.4% in the 2018 Zimbabwe School Examination Council (ZIMSEC) results. The school had a pass rate of 96.7% in 2017. 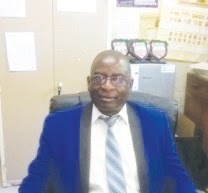 Mvuma Primary School head, Avelino Mhike said although the school did not get a 100% pass rate, he is satisfied by the quality of the results in which about 50% of the candidates got 5-8 units. Four pupils out of the 64 pupils who sat for the 2018 exams attained 5units. “Only one pupil failed one subject although his total number of units for all the five subjects was a pass. We focus on the quality of our results, not merely a 100% pass rate. I am also pleased that our pass rate is improving each year. We are however aiming for a 100% pass but with the best quality of results,” said Mhike. Mhike said the school had improvised several strategies to improve understanding of English Language to help pupils comprehend all other subjects which are taught in English. Mvuma Primary has boarding facilities which give pupils plenty of study time to maximise passes. The school also rewards teachers for hard work at the end of every year to motivate them. Mhike also said the school holds annual prize giving ceremonies to recognise hard work by both teachers and pupils and to reward their success.